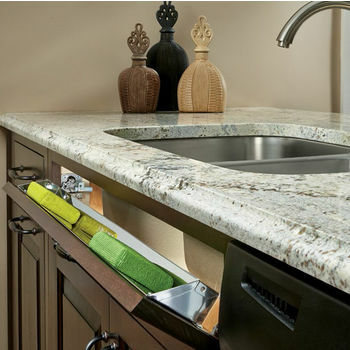 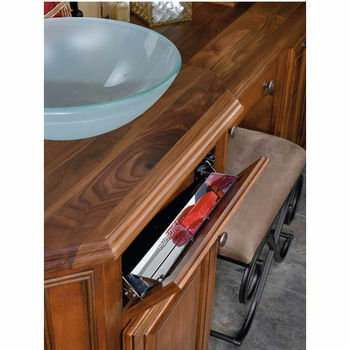 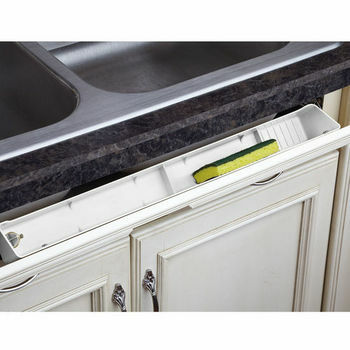 Utilize the space between the edge of your kitchen counter and the rest of the cabinet with a sink-front tray. 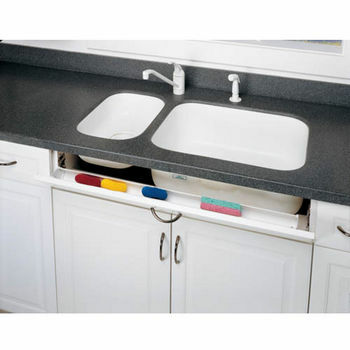 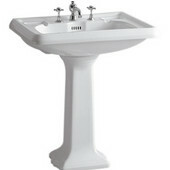 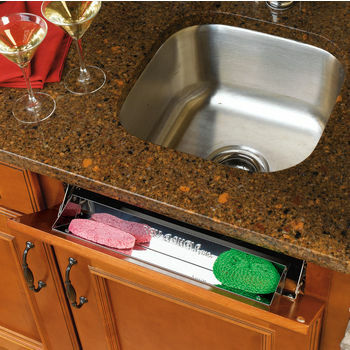 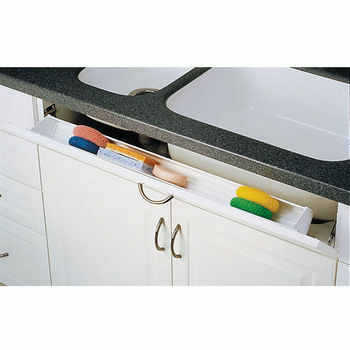 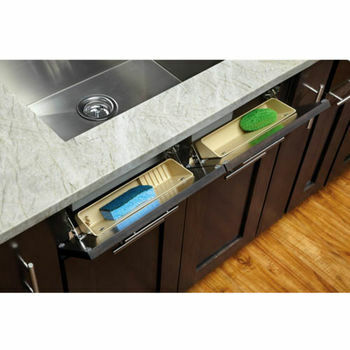 Sink-front trays are designed to hold sponges, scouring pads, hand soap and other small items that are frequently used or needed in the vicinity of the sink. 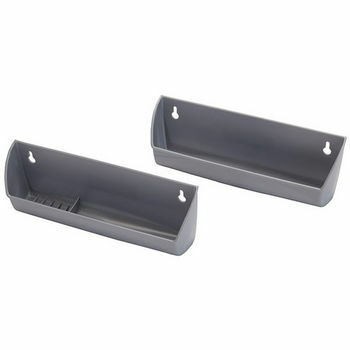 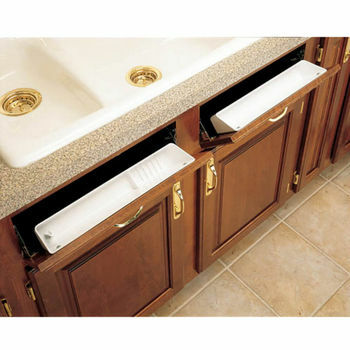 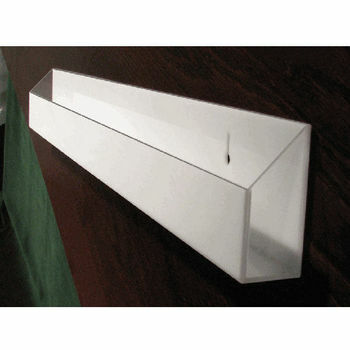 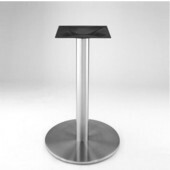 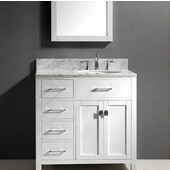 Sink-front trays, or tilt out sink trays, are available in plastic, acrylic or stainless steel and come in several widths to fit base cabinets of different sizes. 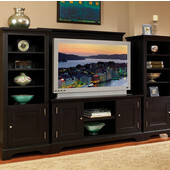 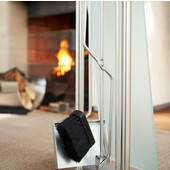 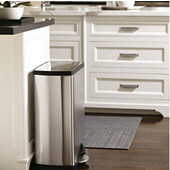 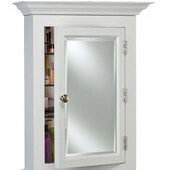 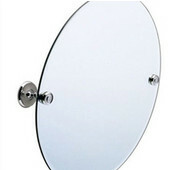 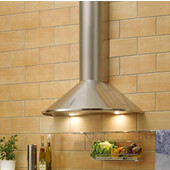 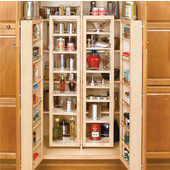 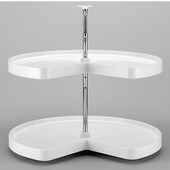 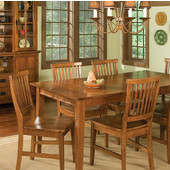 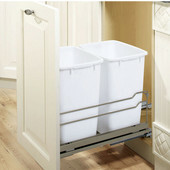 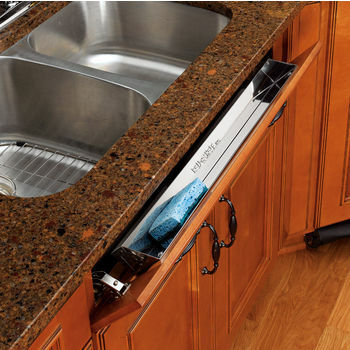 Hinges provide smooth motion, making it easy to open and close. 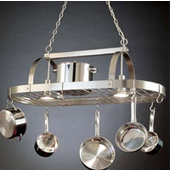 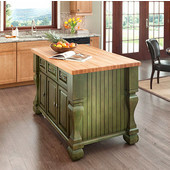 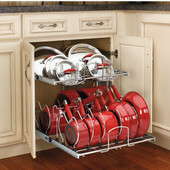 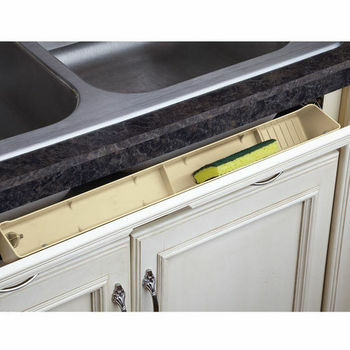 KitchenSource.com features sink-front trays from quality manufacturers, including Rev-A-Shelf, Custom Inserts and Peter Meier to maximize the efficiency of your kitchen cabinets and provide a convenient and inconspicuous storage solution.